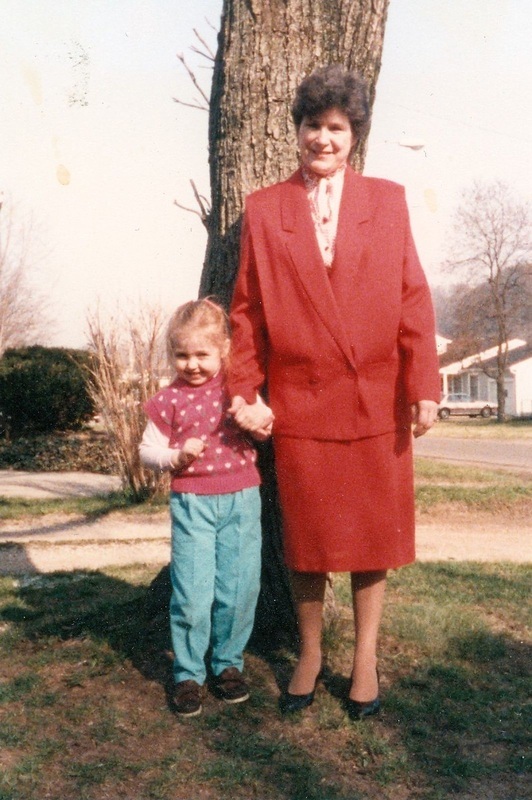 In 1991, I lost my grandmother, Norma Belcher Ackison, to breast cancer. She was the glue that held my family together and still to this day we have never quite recovered from this tragic loss. My grandma was diagnosed with breast cancer in 1989 and became sick very quickly. I was only nine when she passed away, but she taught me lessons that changed my life forever. While I was very young at the time I vividly remember her smile, laugh, stories, and kind heart. I know that while she was taken from my family only six days after her 60th birthday, she still to this day watches over us! "It's not a crime to be poor, it's just inconvenient." My grandmother also never forgot the caring neighbors and family who reached out to help her and the family. After her marriage to Odell Ackison, and as an owner of a small business, my grandma never forgot her roots. Often she took us along to shop for clothes and toys to donate at Christmas time or to deliver food to veterans who lived in caves throughout the county. As children, my brother, sister, and I believed that everyone's grandmother did the same. We always knew our grandma was special, but we never knew just how special. Once she passed away we began to realize that not everyone acted this way and the need for help was greater than imagined. Thus, through her words and her actions she taught us that it is our responsibility to reach out and help others who do not know the advantages that we often take for granted. I will never forget my grandmothers story, her smile, or her amazing ability to decorate the most beautiful Christmas tree. To my siblings and I she was majestic, loving, caring, smart, and a strong woman. As a young child I never understood why people were drawn to her or approached her for help. My mother says that even when she was young, strangers would walk up to my grandmother, sharing hardships, life stories, and the need for help. My mother believes that people could see something magic in her eyes and felt drawn to her. My grandmother, Norma, helped others not to have her name in the paper or to be recognized for an award. She just thought people were just supposed to be that way. While we only had a short time with my grandmother, she worked to teach us lessons about appreciating how lucky we were as children, that it is not wise to judge people because of how much money they have, that hard work and dedication pays off, and that love conquers all. Following my grandmas passing, we knew that we could not let the lessons she taught us be silenced by cancer. Cancer could not be the final victor. Thus, in her memory and with her teachings, Grandmas Gifts was born in 1993. I can feel that my grandma is with us and is cheering our every success. She will always be in our heart and mind! Thank you Grandma!